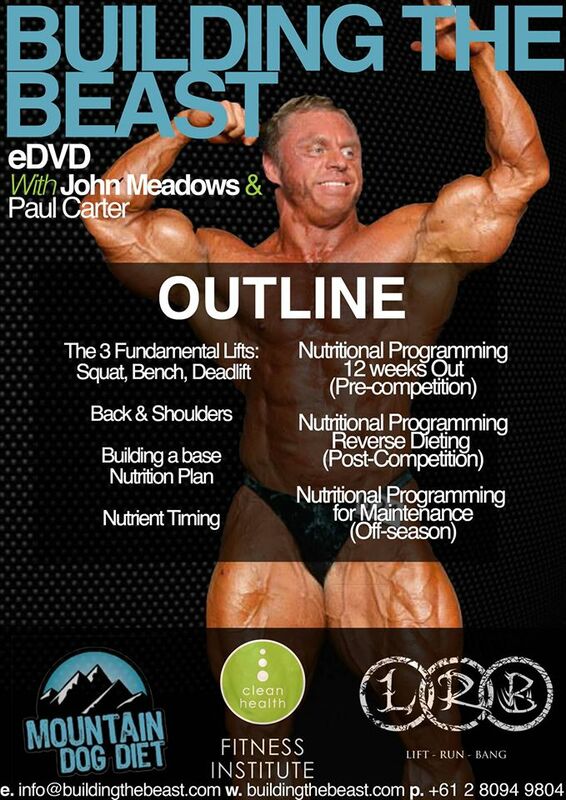 The Building The Beast training and nutrition eDVD is now available to purchase! Featuring the Mountain Dog Diet aka IFBB Pro John Meadows and Lift-Run-Bang founder Paul Carter this action packed eDVD from the Clean Health Fitness Institute features over 3 hours of quality content for personal trainers, nutritionists or strength training enthusiasts alike! For a special release price of only $47USD you will not find better value than this on the market today.